The complete system. 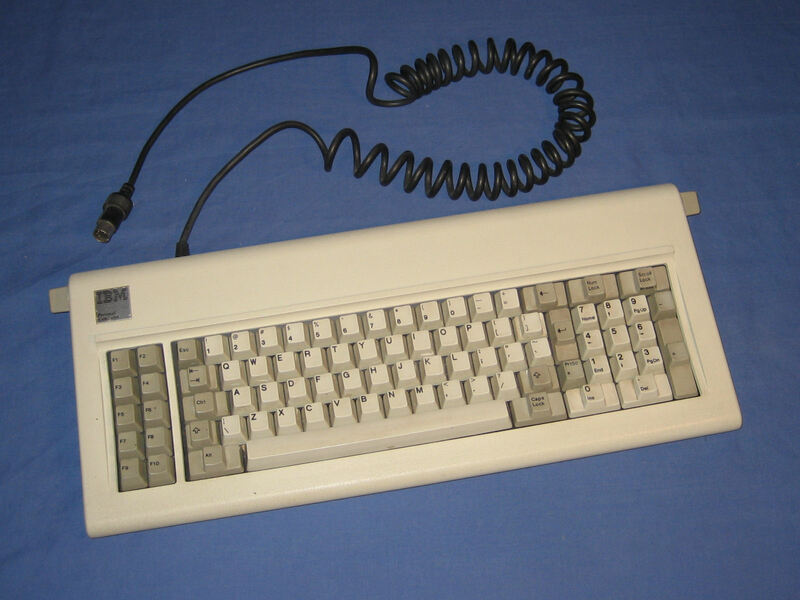 While it does have an original IBM keyboard it does not have an original IBM display. 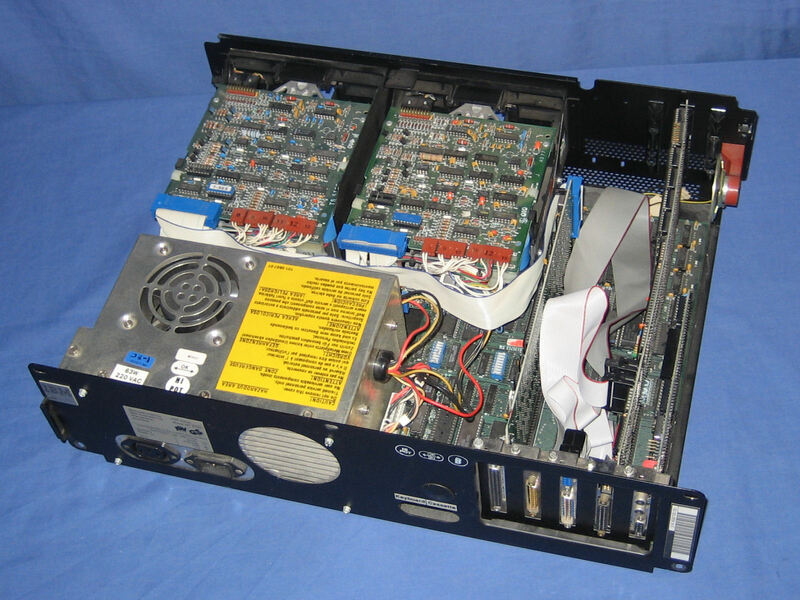 The front of the unit showing the iconic logo on the left and two full height 5.25" floppy drives on the right. 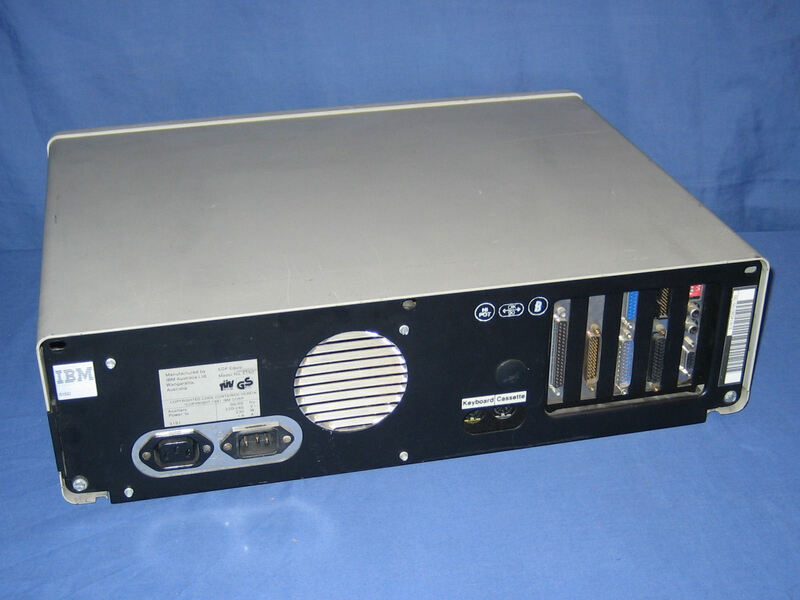 The rear of the unit. 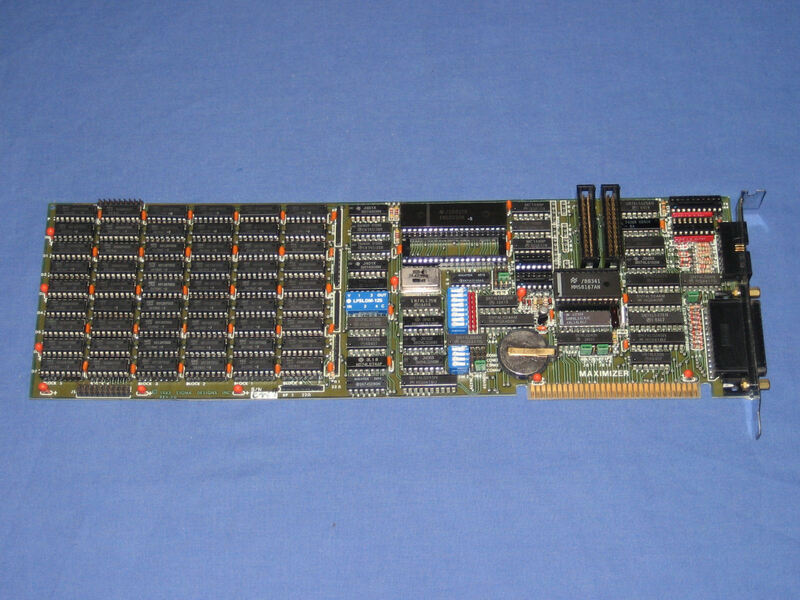 The only two ports provided by the motherboard are for keyboard and cassette, the remainder must be provided by expansion cards. 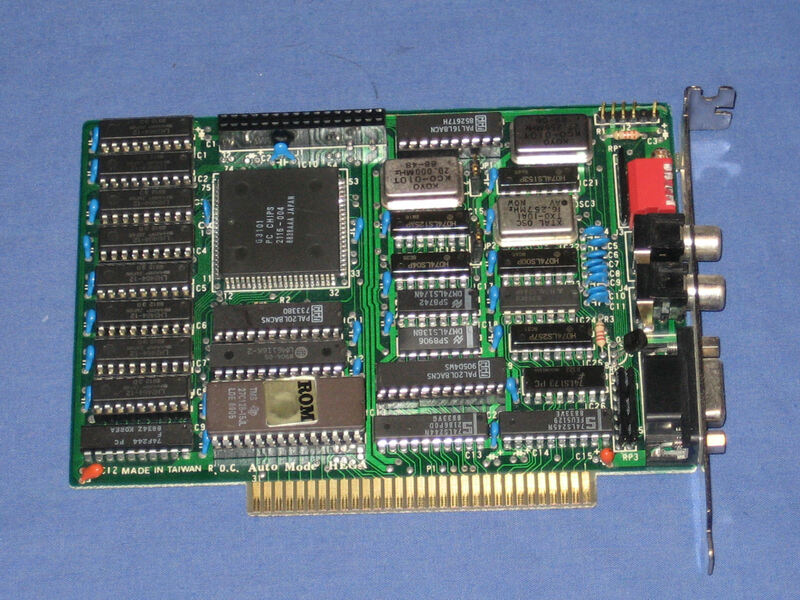 A Sigma Designs Maximizer card that provides additional memory, a clock, a game port, a parallel port, and two serial ports. 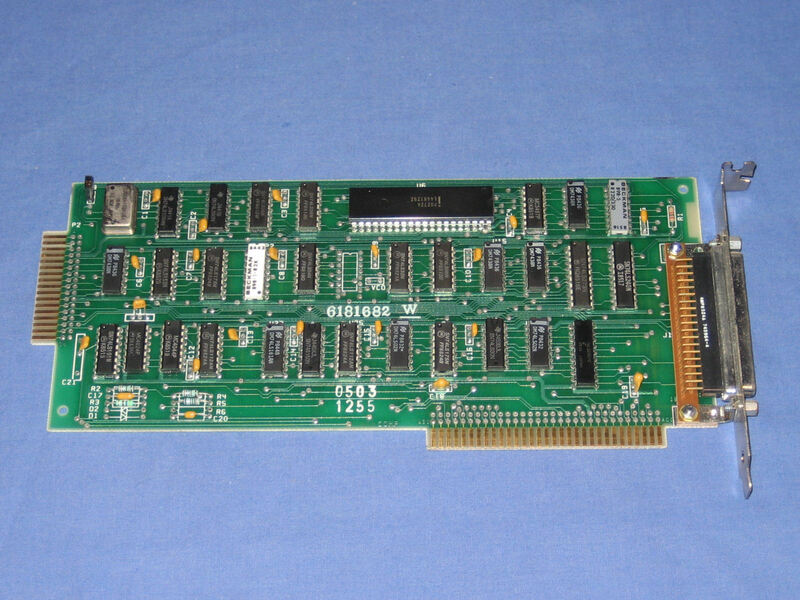 A EGA card that I strongly doubt was the original card for the IBM PC. 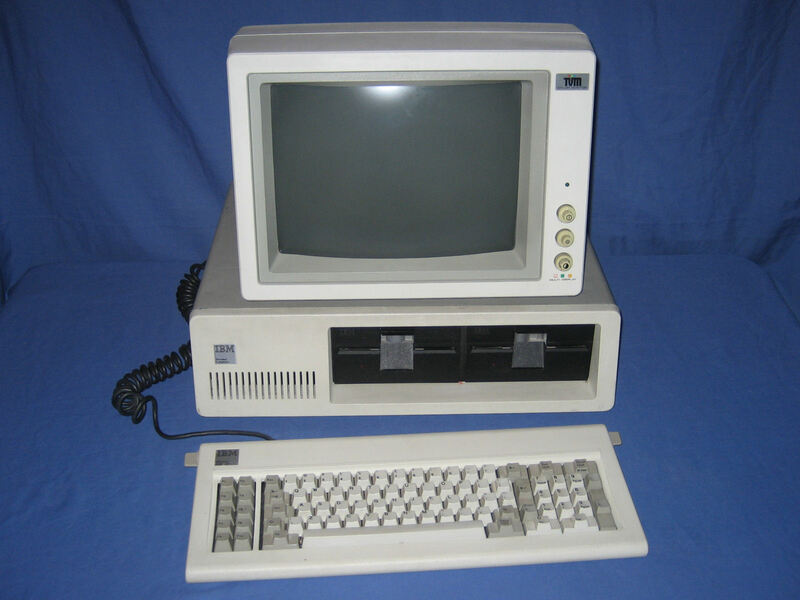 The IBM PC - the father of all PC's today! 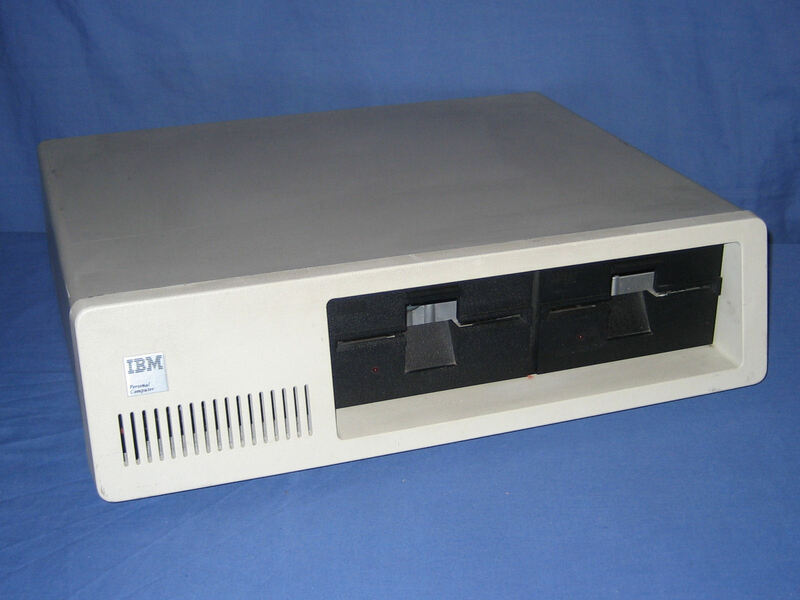 "The IBM PC (known inside IBM as the model 5150) was launched on August 12, 1981 and represented IBM's entry into the microcomputer marketplace."